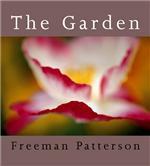 Freeman Patterson’s garden is a place where rain is as important as sunshine, where colours blend seamlessly with fragrances, imagination and dreams, and where everything that lives and grows also dies, but where the cycle of life continues. Patterson has captured his five seasons with his arresting visual genius. We begin in the misty mornings of early spring—the first green shoots against a soggy and grey landscape. Summer brings the riotous palette of hundreds of species of flowers and expanses of hay-scented ferns. Autumn juxtaposes close-ups of gold leaves against frost-gilded petals and berries, and a wondrous winter weaves a tapestry of white flakes, mid-brown grasses, and tiny black shadows. In a “fifth season,” the book ends, where it began, and as all gardens do, with rebirth, a symbol of hope and new beginnings. Freeman uses the symbol of the eternal garden as a vehicle for internal reflection. FREEMAN PATTERSON lives at Shamper's Bluff, New Brunswick, near his childhood home. He began to work in photography in 1965, and numerous assignments for the Still Photography Division of the National Film Board of Canada followed. In 1973 Freeman established a workshop of photography and visual design in New Brunswick, and in 1984 he co-founded the Namaqualand Photographic Workshops in sourthern Africa. He has given numerous workshops in the United States, Israel, New Zealand and Australia, and England. He has published ten books and has written for various magazines and for CBC radio. He has received numerous awards including, in 2001, the Lifetime Achievement Award from the North American Nature Photography Association. He was appointed to the Order of Canada in 1985. I had the pleasure of being in one of his presentations at Canada Blooms and was thrilled to see his garden through his photography.